UPDATE: I’ve written more on my time in Georgia here and here (incl. video). To help you get started on the Georgian language, I highly recommend Glossika Georgian and this one. Are you looking for the ultimate language learning challenge that will set you apart from other language learners and give you an incredible, once-in-a-lifetime experience at the same time? Have you ever heard of Georgia? No, not the state. The country. In my opinion, it’s one of the most beautiful countries on earth and still relatively unspoiled by tourism. If I were to compare Georgia to any other country, I’d say it’s like Italy in terms of its climate and scenery (massive alps and very green) but as if you stepped back in time. The wine culture there is huge and they have a very unique and ancient way to make it – by digging holes in the ground and fermenting grapes in clay pots. Sounds bizarre but it’s fascinating to see. As for the Georgian language, it’s unlike anything you’ve seen before. Part of the Kartvelian family of languages – it has no closely related language outside Georgia to compare it to or find cognates in. 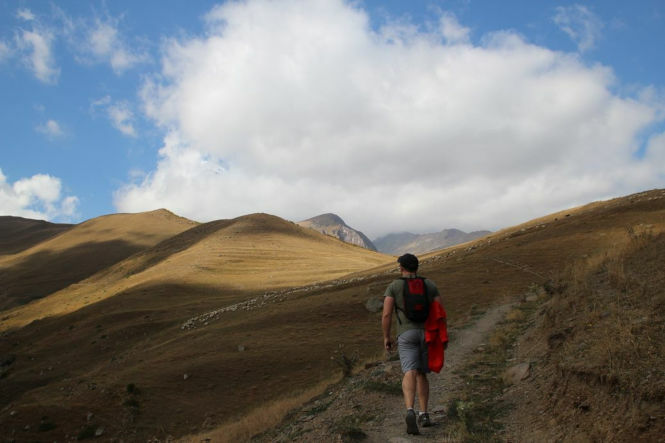 While services like italki have made it easier than ever to connect with Georgian teachers and practice partners abroad, it’s still not an easy language to find opportunities to use outside the country. So here’s where TLG comes in. A while back, I joined a program called Teach and Learn in Georgia (TLG) which is an initiative of the Georgian Department of Education and Science. to improve English language proficiency through recruiting English speakers for upcoming years who will be willing to help Georgian schoolchildren learn the English language in public schools across Georgia. It’s called a volunteer program but they actually pay you a considerably high local salary (more than enough to fund your social life and travels) while providing a host family to house and feed you. You don’t need to be a qualified teacher either. As long as you’re not a complete dummy or an ex-criminal and your native language is English, they’ll accept you onto the program. I don’t know the exact specifics of this but I’ve heard that TLG has taken a much stricter approach on who they accept. When I was there, I saw some pretty horrendous candidates turn up – many totally unqualified and unemployable in their home countries out looking for a good time with zero commitment. There were a few people (mostly from America and Canada) who frankly turned out to be drug addicts and fools who never went to class, stayed out partying all night and greatly offended their Georgian host families. Georgians are such hospitable and kind people that they seemed to tolerate it too much. There were also grotesque individuals like Neal Zupancic who literally made careers out of insulting Georgian culture and breeding anti-foreigner resentment there. I hope that the Georgian government has taken a very scrupulous approach to their hiring since then. 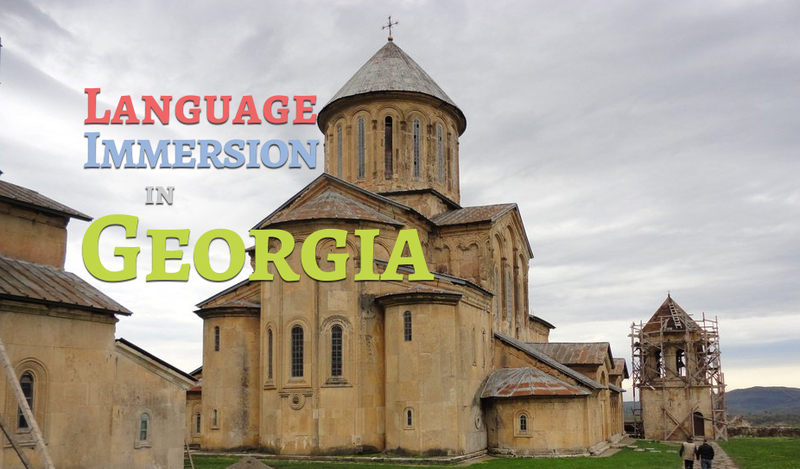 I say this to my own great shame – I could of used this rare immersion opportunity to learn to speak Georgian fluently in the 4 months I was there. I learned a lot of Georgian (ქართული) while I was there by taking private lessons for a few months and chatting with new Georgian friends but I feel I could have achieved a much higher level of fluency if I avoided English speakers more than I did. My reason for heading over there in the first place was to get some work experience teaching English so I tended to focus on that as well as a lot of socializing with the other English-speaking volunteers on the program. Although I lived with a host family that didn’t speak a word of English, I didn’t fully use this to my advantage and wasted a lot of time. Here’s my advice: do everything you can do get a remote placement. That means teaching at a school up in a place like Svaneti or Kakheti. No Tbilisi. Trust me – you’ll be so glad you did. I mentioned one book already but I also want to draw your attention to Glossika Georgian. This was not an option for me back when I went unfortunately since it was made fairly recently. Glossika’s a very unique fluency training program and one of the only programs to offer the Georgian language. You can read my Glossika review here. If you’ve got 3, 6 or 12 months to spare, head over to the TLG website and click Apply Now. Did I mention it’s all expenses paid courtesy of the Georgian government? Take advantage of this rare opportunity to learn a language that few other people know or have even heard of. For linguists looking for a challenging language to study I can assure you that Georgian is one of the most complex and challenging languages you’ll find. A few of us on the program were also using this excellent book to learn the Georgian language. It’s definitely one of the best conversational resources for Georgian available and the ideal resource to start out with. 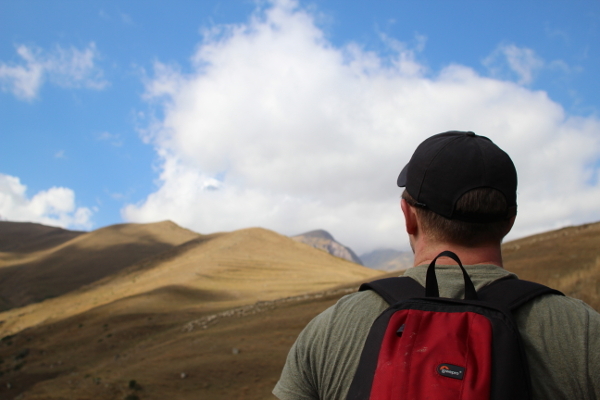 I’ve written a lot on how to get the most out of language immersion experiences like this. You can check out articles like this one. Also make sure to subscribe below and select ‘Georgian’ as your language. You mention "this book" but there's no link. Hmm… not sure why it didn't display. Anyway, I added another link. Thanks for pointing that out. is there any place that sells this book? i've looked longingly at the geogian program, and wondered if if could indeed yield the kind of immersion experience i crave. less common languages intrigue me–i'm in hungary now, learning (and teaching english, to keep body and soul together) but spending some time with an even rarer language is certainly in my future! Donovan, believe it or not I showed this post to my sister and out of the blue she has become extremely interested it! (My mother was not happy about that at first, but she's warmed up to the idea.) I was wondering if you knew of any site or program that could expose her a bit to the sound world of Georgian, a news channel or radio show or something. Essentially she would like to get some synthetic immersion so she has at least some footing in the sounds that she'll be in should it work out. Click on the LIVE Windows Media button and you can watch TV. It’s the most popular station where I lived. Excellent resource! Thank you so much!